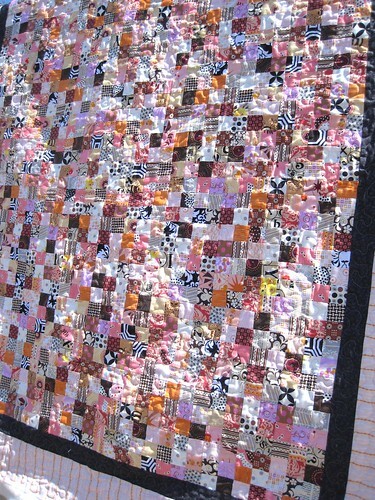 Here's is the beautiful quilt Brooke made all quilted up by yours truly! I managed most of it in one night and finished the rest off in the morning. 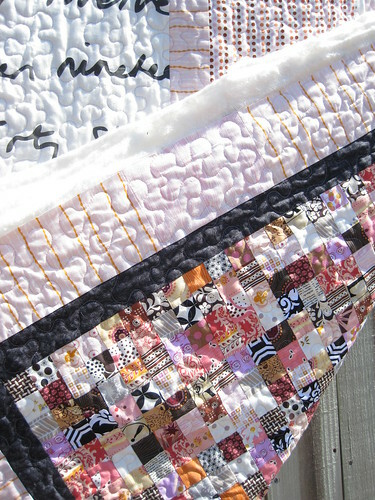 I ♥ this quilt so much and I will be sorry to send it back home to *brrrrr* Maine on Monday. i can't wait to get that thing's binding on and snuggle up with it!! thankyou again, kelly. how much do I love that backing too! agreed, the back fabric is very cool. 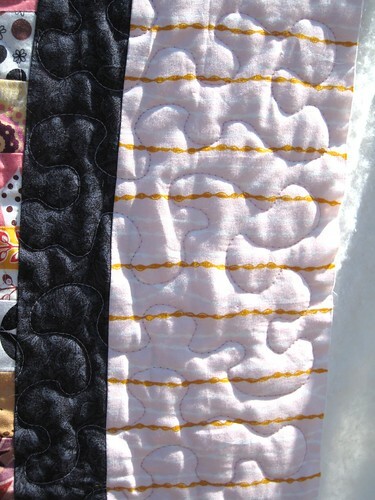 you did a fabulous job with the quilting kelly! Gorgeous Kelly! the printed words are so prefect for the backing! 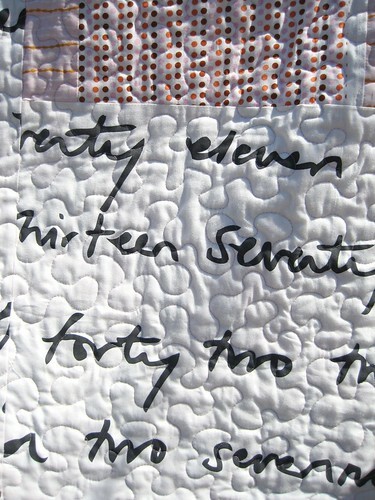 This quilt leaves me speechless...just love everything about it!!!! WOW! 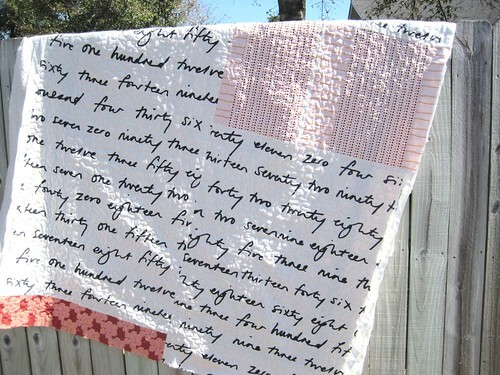 Wonderful quilt and fabulous backing!...I love the written fabris...from which collection is it?